Call now (516)-799-4444 to place your order. 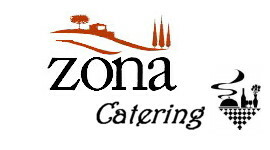 We offer excellent catering on and off premise! Whether you are looking for a party in our comfortable dining room, or wish to have delicious authentic Italian dishes delivered to your door, it is our pleasure to customize a menu to please your guests. When dining in, we offer cocktails, domestic & imported beer and a great selection of wine from around the world. Crispy risotto bites, filled with meat ragu, peas & fresh mozzarella with a side of marinara. Fried domestic calamari with a side of marinara. Baked clams, eggplant Rollatini, stuffed mushrooms & shrimp oreganata. Farm raised mussels in your choice of Portofino or fra diavolo. Rolled eggplant stuffed with ricotta cheese topped with marinara sauce. Homemade mozzarella, fresh tomatoes & basil topped with a balsamic glaze. Your choice of panini from the regular menu. Filet Mignon & Shrinp Panini are $4.50 additional. Chicken on the bone with sausage, potatoes, rosemary with garlic and a light lemon sauce. Sauteed chicken breast with mixed wild mushrooms & marsala wine sauce. Batter dipped chicken,sauteed in white wine & lemon sauce. Strips of chicken breast sauteed with garlic and fresh squeezed lemon. Chicken breast in a cherry tomato and white wine sauce. Boneless breaded chicken breast layered with prosciutto, fried eggplant & fresh mozzarella. Batter dipped chicken breast topped with broccoli florets & fresh mozzarella in a sherry wine sauce. Breaded chicken cutlets topped with cubed tomatoes, fresh mozzarella, red onions and balsamic glaze. Rolled chicken breasts breaded and stuffed with prosciutto and swiss cheese. Iceberg lettice, avocado, grilled chicken, shredded mozzarella, cherry tomatoes & almonds with balsamic dressing. Baby spinach, bacon, gorgonzola, dried apples, red onions & candied walnuts with honey mustard dressing. Mixed greens, tomatoes, goat cheese, corn, candied walnuts & beets with honey mustard dressing. Romaine lettuce, shredded parmesan cheese & croutons with caesar dressing. Mixed greens, gorgonzola, dried cranberries, red pears & candied walnuts with balsamic dressing. Mixed greens, roasted portobello, roasted peppers, sunflower seeds & fresh mozzarella with balsamic vinaigrette. Mixed greens, red pears, gorgonzola & candied walnuts with lime dressing. Mixed field greens, goat cheese, mixed dried fruit & candied walnuts with honey mustard dressing. Baby spinach, croutons, black olives, candied walnuts, white mushrooms & goat cheese with balsamic vinaigrette. Radicchio, arugula, endive, olives & shaved parmesan with balsamic vinaigrette. Lasagna layered with fresh mozzarella, ground beef & homemade marinara sauce. Sauteed pancetta, scallions, parmesan & A splash of cream. Slow cooked beef and pork sauce. Fresh tomato sauce sauteed with olive-capers & onions. Broccoli, zucchini, carrots, mushrooms & peas in your choice of pink sauce or oil & garlic. Fresh artichokes hearts, sun dries tomatoes & peas in a light cream sauce. Baked with fresh mozarella, ricotta & marinara. Fresh eggplant with marinara sauce, topped with chunks of fresh mozzarella. Grilled Skirt Steak with Portobello Mushrooms. Pan seared filet mignon medallions topped with portobello barolo wine sauce. Fried eggplant topped with fresh mozzarella & marinara sauce. Veal medallions sauteed in white wine and lemon sauce. Tender veal with wild mushrooms & marsala wine. Bread veal cutlet baked and topped woth fresh mozzarella & marinara. Tender veal sauteed with baby spinach, asparagus, topped with fresh mozzarella and light demi glaze. Sweet or hot Italian sausage with peppers & sauteed white onions. Sweet or hot Italian sausage slow cooked in marinara sauce. Pounded boneless pork loin stuffed with spinach, fontina & thin sliced prosciutto. Sauteed shrimp in a white wine & garlic sauce. Fried shrimp topped with fresh mozzarella & marinara sauce. Batter dipped shrimp in a white wine and lemon sauce. Grilled Salmon with white wine , lemon & capers sauce. Broiled flounder filet with bread crumbs, white wine, garlic & oil. Broiled tilapia with bread crumbs, white wine, garlic & oil. Season fresh vegetables sauteed garlic & fresh herbs. Served with oil & garlic. Topped with garlic and parmesan.